One of the great joys of boating is sharing the experience with friends. And that holds true even if your friend walks on four legs. 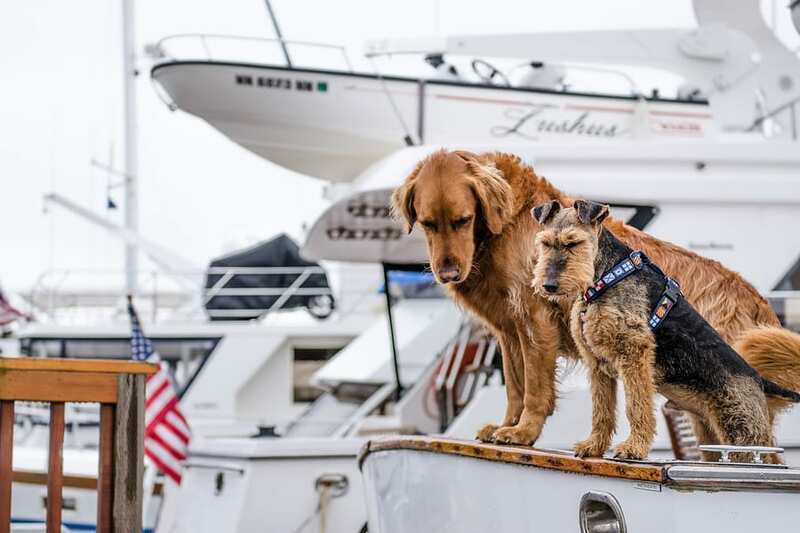 Freedom Boat Club prides itself on not only being family friendly but pet friendly as well. So, our members are welcome to bring their pets on board, but that means taking some extra precautions. We want to be sure your dog’s Yappy Hour is also Happy Hour. For starters, your dog should have a life vest just like your kids. Find one that fits well, is comfortable, and allows your dog to swim easily. That way, if your dog falls overboard, he’ll be able to float. And always make sure you have water on board, because you’re out in the sun, and just like us, dogs need to stay hydrated. And, it would be helpful to keep claws clipped, because at Freedom Boat Club, we want everyone to have a nice, new-looking, clean boat. Another safety tip, always bring your dog down to the dock with a leash so you can get him safely on board. Sometimes dogs can get a little wobbly on a dock. We love to have our pets on the water and we love for you to bring them. We just want you, like everything else, to be safe with them. You should also consider buying a “Paws on Board” ladder to make it easy for your dog to get on board and off again, or make sure you have a sturdy handle on the vest, so you can lift him up and down. Make sure you have shade for your dog. Like people, they get hot. Provide a shaded area — excessive exposure to the sun can cause problems for animals. Protect their feet — dogs absorb heat through the pads on their feet and boat surfaces can get very hot in the sun. Give your pet a chance to get acquainted with the boat while it is on the dock. Walk your dog so he can relieve himself before boarding. Keep your first outing short to let your dog get used to the boat movement.